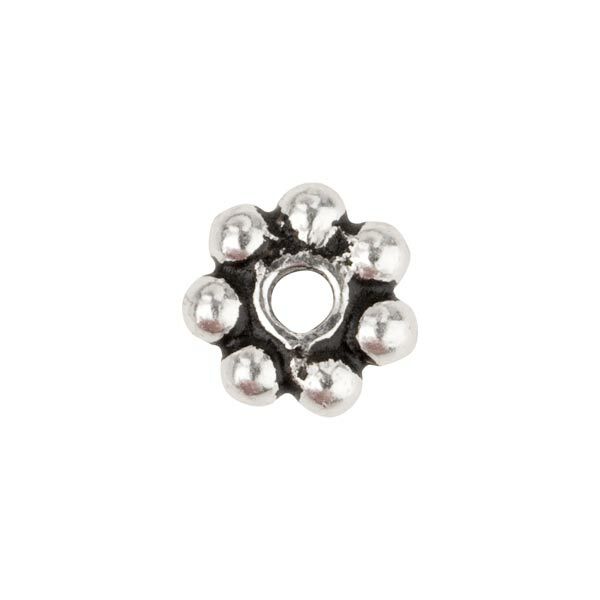 This 5mm .925 sterling silver daisy spacer is perfect for the designer trying to build beautiful jewelry with precious metals. The oxidized look goes great with our Venetian beads and our other oxidized silver pieces. Approximately 5mm in diameter and 1.5mm wide. Sold individually.